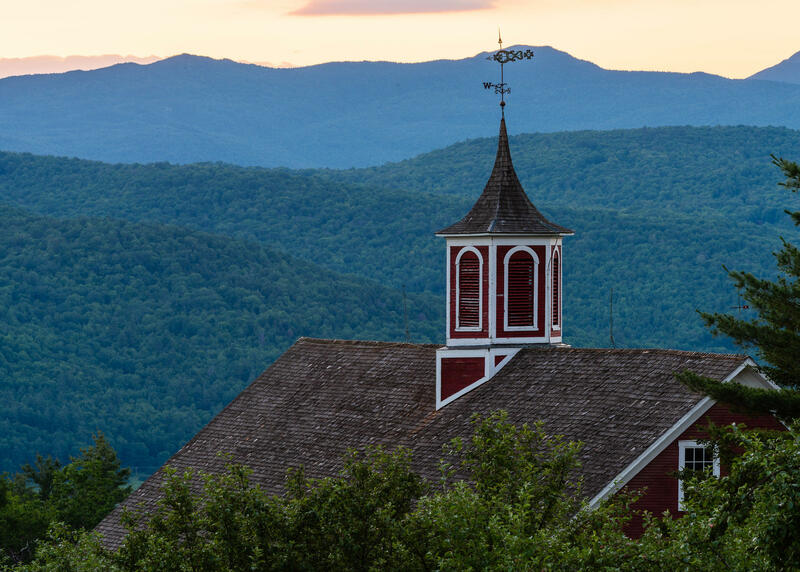 I’ve already posted twice about my sunset visit to Mountain Valley Farm in Waitsfield, Vermont and how much I loved this incredible location. 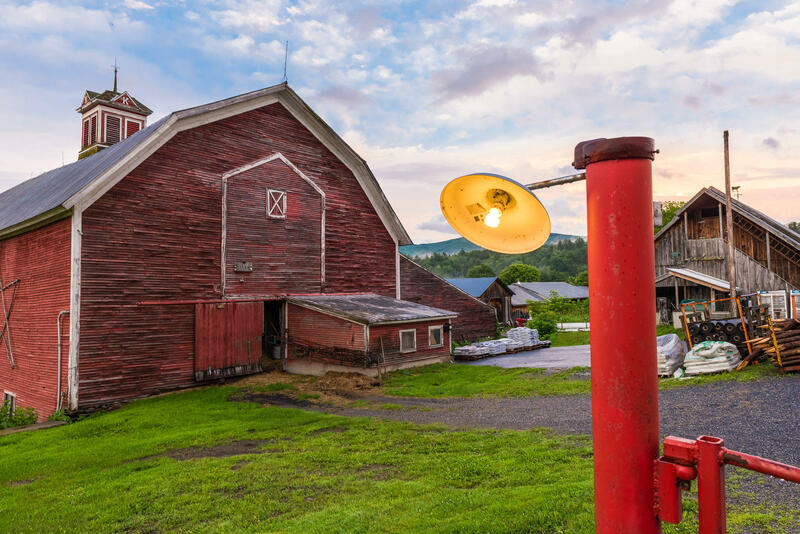 The first post was about finding a great scene in amazing light, while the second post went into detail about choosing the best photo of the barn cupola at sunset. Here now is my third (and final) photo from that evening – a close in view of the barn and two of its occupants. This photo was a combination of luck and finding the right composition, but it took a little time to get a good result. 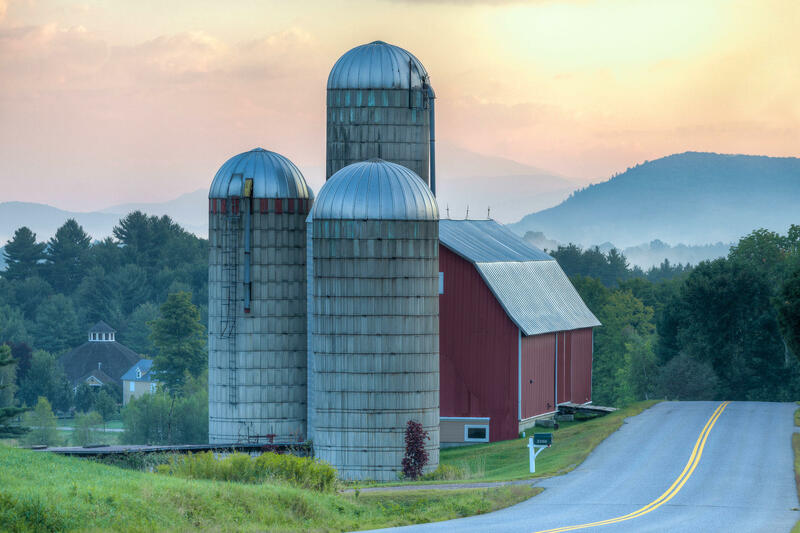 When I think about my many photos of Vermont, this one has long been one of my favorites. 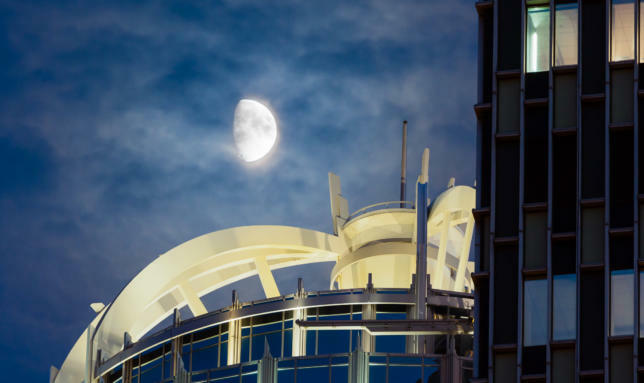 And like so many of my photos, this one has a story about combining timing, location knowledge, and weather. They all aligned to let me take this photo, and any one of them could have ruined it otherwise. 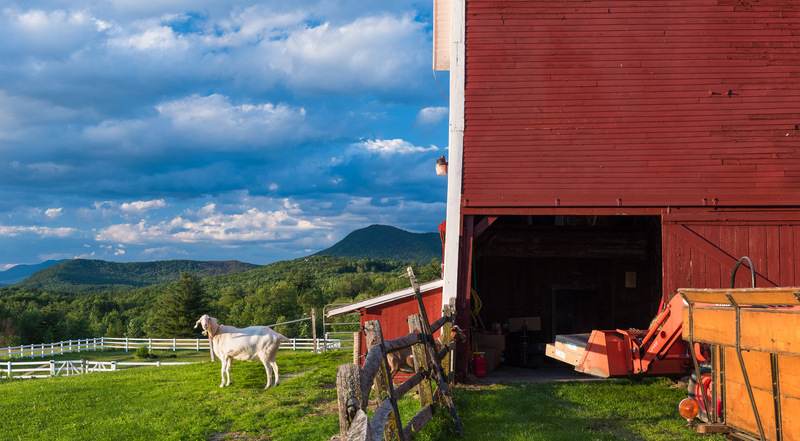 Thankfully, the end result is a nearly perfect capture of Vermont as a place and a feeling. The weather had been wild on our drive to Vermont. Thick angry clouds loomed in the sky while incredible rainfall pounded the car and flooded the surrounding fields. The Mad River was rising over its banks, and the highway patrol had closed VT-100 between Hancock and Granville because of high water. With no cell service, we had to use my Garmin GPS to plot an alternate route through the green mountains on back roads. We were incredibly tired by the time we arrived in Waitsfield, but then the weather started to clear and a little bit of sunlight peaked out in the gloom. 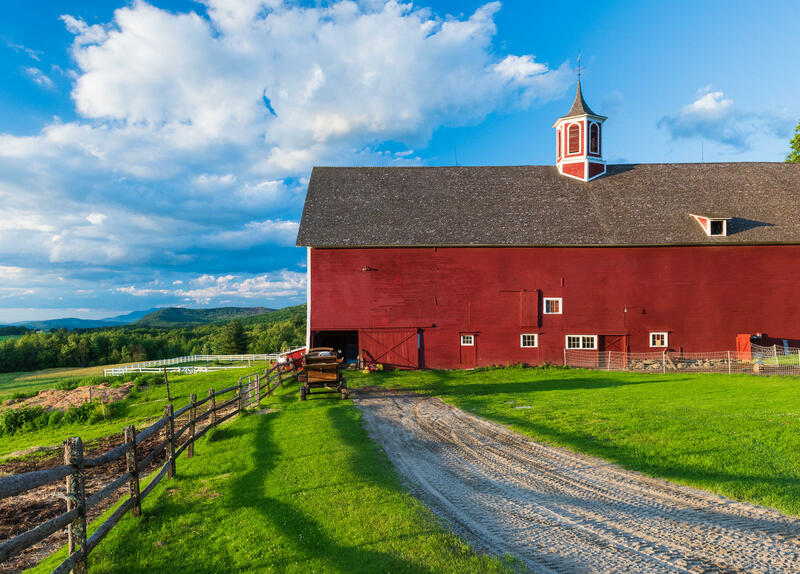 The red barn at the Mountain Valley Farm in Waitsfield, Vermont has always been one of my favorites. It’s a gorgeous and imposing building, painted in a classic bright red, that has been beautifully maintained and preserved. Each time I pass by, I want to stop and take a photo; but the barn sits tightly next to the road and is hard to frame from the road itself. Fortunately, on this particular visit, the owner was nearby and happily granted me permission to explore the property for a better angle.